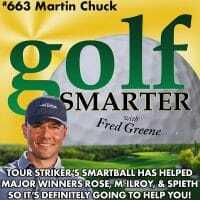 663: Martin Chuck is a phenomenal instructor and the inventor of some of the most popular golf training aids ever created. Nearly 200,000 golfers around the world use the Tour Striker clubs, and without any requests or sponsorship deals, the Tour Striker SmartBall is regularly used by a significant number of Tour players, including Major winners Justin Rose, Rory McIlroy, Jordan Spieth, Graham McDowell, Darren Clark, and Jimmy Walker. 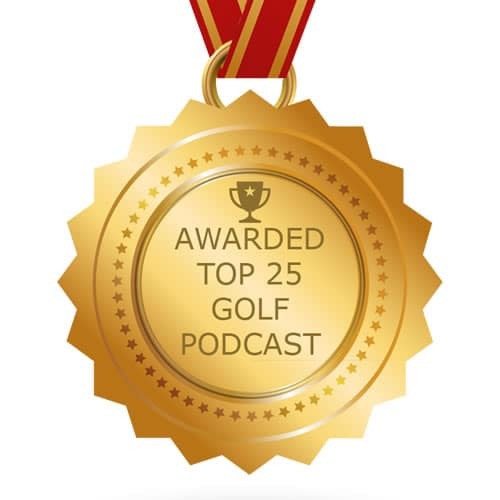 In this episode we discuss getting online lessons, the value of training aids, and having one club in your bag that you hate! 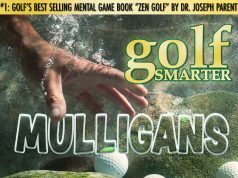 Each week we’re giving away a different prize including free online lessons, a SeeMore putter, and more. Click here to enter! Deadline is Midnight PT/3aET each Sunday. The winner will be announced by random drawing at the end of each new episode. Some restrictions apply, see details on our website. 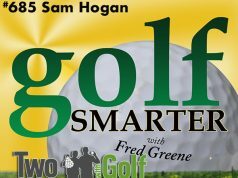 This Sunday, watch @Golf Smarter Facebook Live and follow @GolfSmarter on Instagram as our four winners: Gary McCormick of San Jose, Scott Duffy of Milpitas, Conrad Branson of Greenbrae, and Edward Spurr of Sacramento, and their “caddies” all join host Fred Greene for Topgolf Crush in San Francisco’s AT&T Park. That’s live on Sunday, November 18, 2018 @ [10:10]aPT / [1:10]pET. This episode is brought to you by our newest sponsor TWG! Click here for this week’s Black Friday / Cyber Monday incredible deals. This episode is also brought to you by Peter Millar Golf. Go to PeterMillar.com/golfsmarter to check out Fred’s favorites and for complimentary shipping and a free golf cap with your first purchase.